Why does the Global North appear to be having a crisis of political will when it comes to welcoming refugees and migrants into their countries? Is this connected to a global rise of xenophobia? Amongst these international crises of conscience, we are witnessing a quiet humanitarian crisis that is one of cultural displacement. Can theoretical frameworks around ”multiculturalism” assist our understanding of why movements such as #BlackLivesMatters are important for helping us to confront this growing civic phenomenon of internal ostracisation, disenfranchisement and displacement? Undoubtedly, an increasing number of communities around the world are beginning to feel like “outcasts on the inside” of their own homelands. What are the implications of this for the Human Rights Movement, where the seeds of these local tensions seem to be self-replicating exponentially in other local contexts around the world? 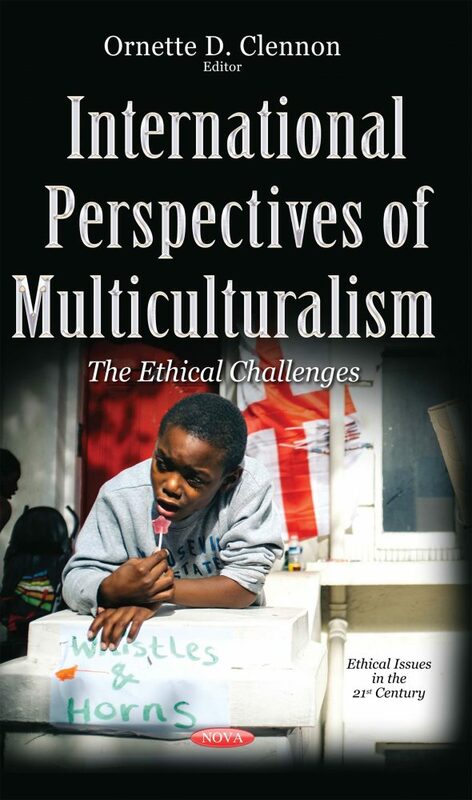 Building on Bhikhu Parekh’s Pluralist Universalism, this volume seeks to uncover some of the ideological and ethical challenges examined by the many concepts of “multiculturalism”. From a global contextualisation of Pluralist Universalism to its interrogation through the lenses of cultural memory, nationhood and stakeholdership, this volume of international perspectives aims to provide a theoretical understanding of many global humanitarian crises of identity and belonging. Exploring some of the implications for the Human Rights Movement, as well as uncovering the psychopathological structures of globalisation and “whiteness”, this volume will also examine the impact of “relational multiculturalism” on personal identity formation and national belonging.